Pull and go! 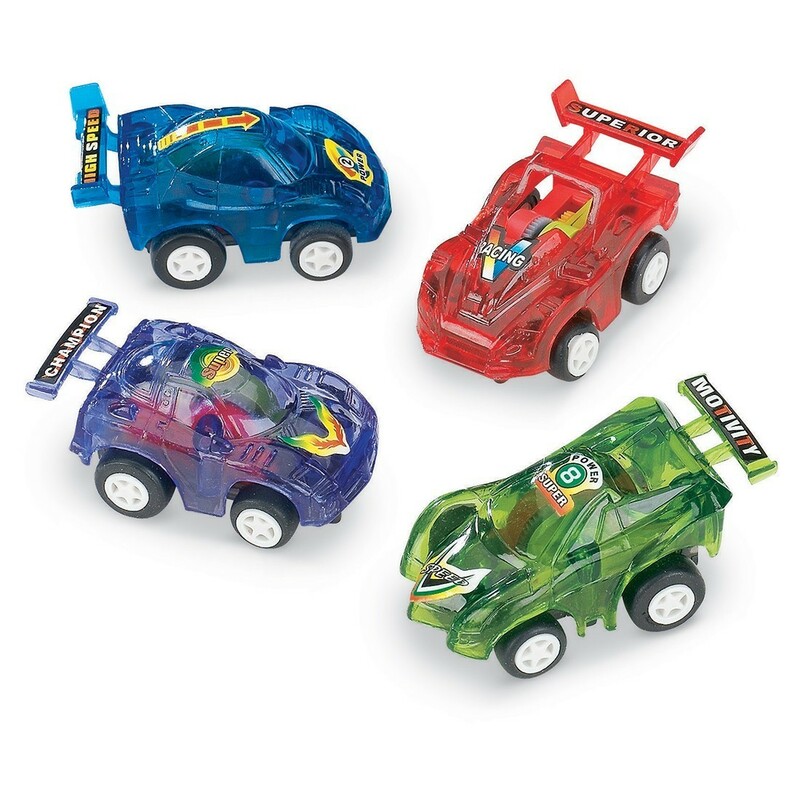 Includes the hottest color assortment of pull back cars anywhere! A patient favorite for toy treasure chests.